Frazer is just a baby, born October 2018, and has had the worst start you can think of for a puppy. Taken way too soon from his litter mates and mum, had two homes already and no input, training or effort at all in that time. He found himself in a dangerous situation and thankfully was rescued by one of our most experienced foster Mums and now needs his very own FUREVER Home asap. 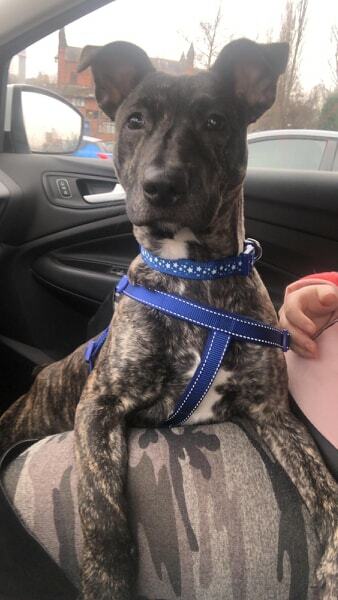 Frazer left his litter mates and Mum too early so has limited canine manners – ideally he would be in an experienced home as the only dog so that his socialisation and introduction to the world can be safe and gentle. However, he is in rescue with an older steady female dog, so who knows! He cannot live with small children as Frazer can get mouthy in play and may accidentally hurt a small child, so we think age 10+ could be best, if any. He has had NO input whatsoever and has been shuttled between a kitchen and a back yard then dumped on the street to take care of himself – he is with our fosters in a home now and is learning to walk nicely on the lead and all about toilet training. He is not cat friendly. He is a sweet little chap but will need someone with previous experienced, ideally someone with a bull background, to help this lad find his paws. You will need to be prepared to start right at the beginning with socialisation and introduction to the world as Frazer has been denied that by his previous “owners”. 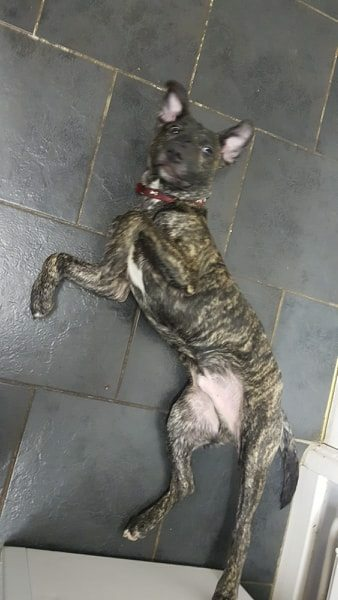 However, we are glad to say that Frazer is coming on in leaps and bounds with the care of his foster mum and our professional behaviourist’s visits, and he will be a great addition to a loving home. 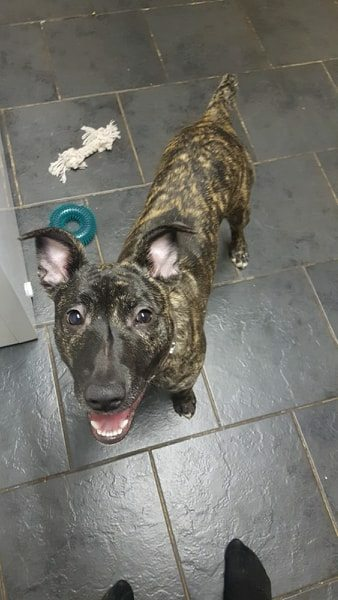 He is in foster in Nottingham and you will need to be prepared to visit him at least twice before adopting and fully commit to this pup. He CANNOT go to another home and then be let down – you must be 100% committed to the time, work, effort and patience he will need. Please only apply if you know you can absolutely stick with him and give him the home he deserves. For further details about adopting a dog from Finding Furever Homes please visit their website in the first instance. Full details of our work and our criteria can be found on our website www.findingfureverhomes.org.uk Finding Furever Homes (Registered Charity no. 1155693) has been established since 2013 and since then has rehomed over 400 dogs that were unwanted, abandoned or signed over by the owners. We help all and any breeds whenever we can and are committed to making a difference, one dog at a time. We have strict rehoming criteria and every applicant will be home checked and vet references sought. An adoption fee of £150-175 will apply.